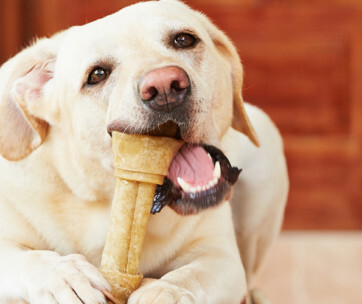 Pumpkin is one of the many human foods that you can give to dogs as delicious treats. It’s rich in fiber for better canine digestion. It’s also filled with antioxidants for healthier skin, coat, and immune system. Pumpkin is also great for taking a few pounds off of your hound. 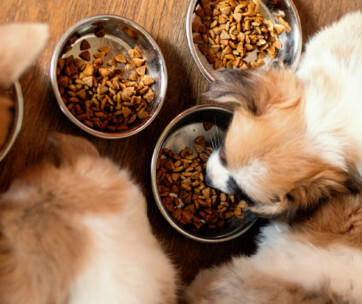 With minerals and vitamins that offer a host of healthy benefits, pumpkin is a great food to give to dogs. But wait; there must be something you can do to make pumpkin a little more “appetizing” for your furry friend. 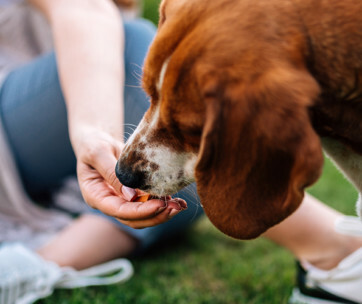 You’re in luck because we have a few ideas we can share with you some ways you can make tasty and nutritious pumpkin treats for your dog. These recipes can rival your best dog treats. We have yet to meet a dog that doesn’t love the rich flavor of peanut butter. It’s full of protein goodness, too. But the real trick here is to choose a peanut butter that doesn’t come with salt or with added fat. If you can make your own peanut butter, then it will be best. With the addition of pumpkin, you’ll know that this treat is going to be an instant hit for your furry pal. You will also be using whole eggs. As you are well-aware, eggs are super-foods not only in the human world, but also in the dog kingdom. Eggs are rich in protein, healthy fats, minerals, and vitamins that can bring a lot of benefits for your dog. It’s a nutrient-dense food. 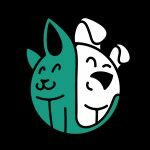 Get your oven preheated to about 350 degrees Fahrenheit while you start preparing the dog treat dough. Combine and whisk all the ingredients in a large bowl. You should see uniform consistency throughout the mixture. If you’re having difficulty mixing the ingredients, try adding a few drops of water. Be very careful in adding water. You want the consistency to be stiff and dry, not runny or syrupy. Roll the pumpkin-peanut butter dough into a 1-inch diameter log or roll. You will have something like a long tube. Cut the log into half-inch sections and place them on a baking sheet. These doggie treats will look like half-inch thick discs, perfect for treating. Bake the pumpkin-peanut butter dog treat in the oven for about 40 minutes or until they harden. The natural sweetness of carrots blends well with the natural goodness of pumpkin in this recipe that’s sure to get your dog jumping with delight. Carrots are rich in vitamin A as well as phytochemicals that can help protect the dog’s heart. Not only are you aiding in your pet’s healthier digestion, you’re also ensuring more robust immune system. 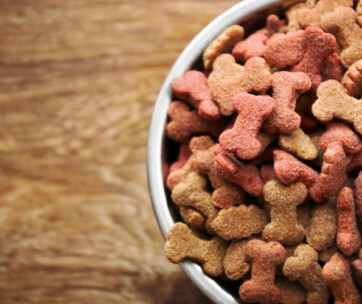 Give this recipe a try and your dog will love you forever. Start off by preheating your trusty oven to 350ºF. Combine the pumpkin, carrots, flour, and egg in a bowl. Make sure that you don’t get any lumps or portions that still have raw flour on them. Get a teaspoonful of the mixture and form into small balls. If you don’t like forming them into balls, you can follow the same procedure as in the Pumpkin Peanut Butter Dog Treat. Roll the dough into a 1-inch diameter log. Now cut the log into half-inch sections to get disk-shaped treats. Arrange these on a prepared baking sheet and place in the oven to bake for about 30 to 35 minutes. This recipe will yield about 4 dozen of Pumpkin Carrot Bites. You can store them in your refrigerator and get only a few pieces at a time to give to your pet. Bananas are excellent treats for dogs as they’re rich in potassium and fiber. Potassium is essential in the maintenance of optimum functioning of the muscles. 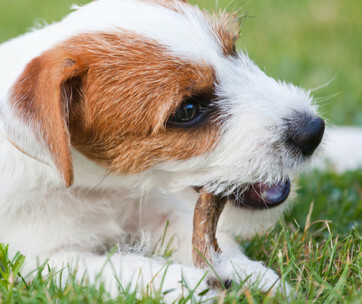 They also contain antioxidants that can boost your pet’s immune system. 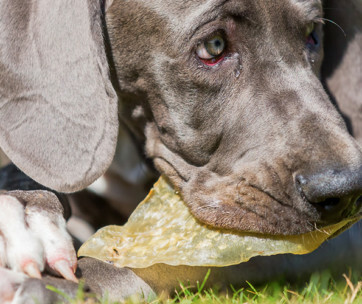 There are also nutrients that can help regulate the levels of blood sugar in your dog. In this recipe, you will also be using honey, another super-food that is bursting with antioxidants like flavonoids. It can also help in the lowering of bad cholesterol in your dog’s blood. The combination of pumpkin, banana, and honey makes this doggie treat worthwhile. Turn on your oven to get it to a temperature of 350ºF. Mix the pumpkin, banana, and honey in a large bowl. Some folks find using their hands to be a lot better. If you do decide to use your hands, make sure to wash them first. Once you’re done mixing the first three ingredients, add the baking powder and the flour. Combine the ingredients so that you will end up with a thick and dry dough. If it’s too dry, you can add a teaspoon of water to make it workable. If it becomes too wet, you can add flour. Flatten the dough to about half an inch thick. Get your cookie cutter and begin cutting into the dough. We’d recommend using a bone-shaped cookie cutter to make it real cute. However, any other cookie cutter design will do. If you don’t have a cookie cutter, you can roll the dough into a 1-inch diameter log. Cut it into half-inch sections so each cookie comes with a disk shape. Line them up on a baking sheet and bake until golden. Let the cookies cool down before storing in a clean jar. Pumpkin is a versatile ingredient to use in many nutritious and tasty doggie treats. This is a lot healthier snack for your pet since you also get to choose the other ingredients to use.